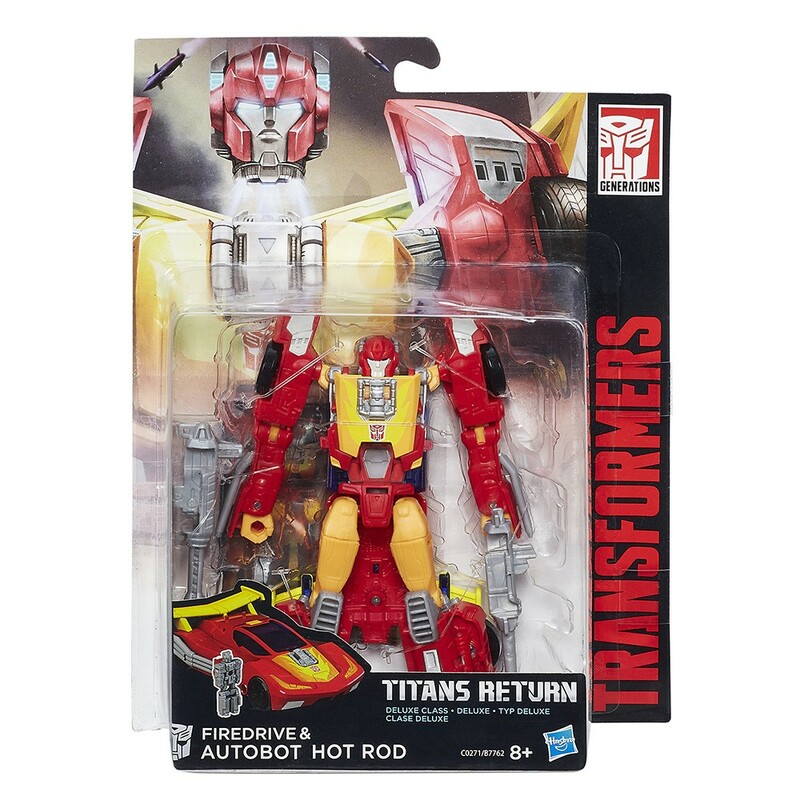 Transformers Titans Return Deluxe Hot Rod- Stands approx 5.5 inches tall and transforms from futuristic racer to fully articulated robot and back again. 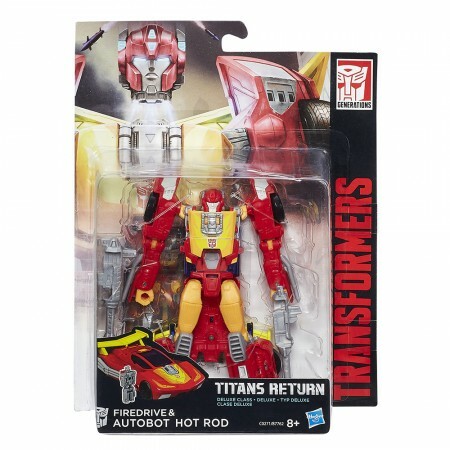 Comes with transforming Titan partner that forms Rodimus head in robot mode. Ages 5 and up.